First, we need to make sure your sauna is properly wired. We are constantly updating our saunas to give our users the best possible infrared treatment. The owner's manual might be slightly outdated as we update so please see the videos below for the correct way to wire your new Health Mate. 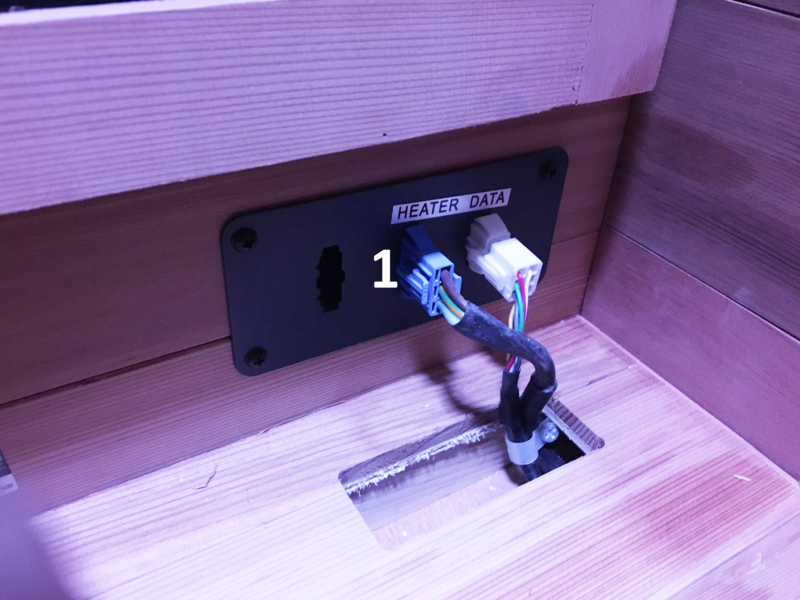 NOTE: With our newer models you do not plug the heater cable from the floor to the bench. All heater cables should be plugged directly into the red power supply. 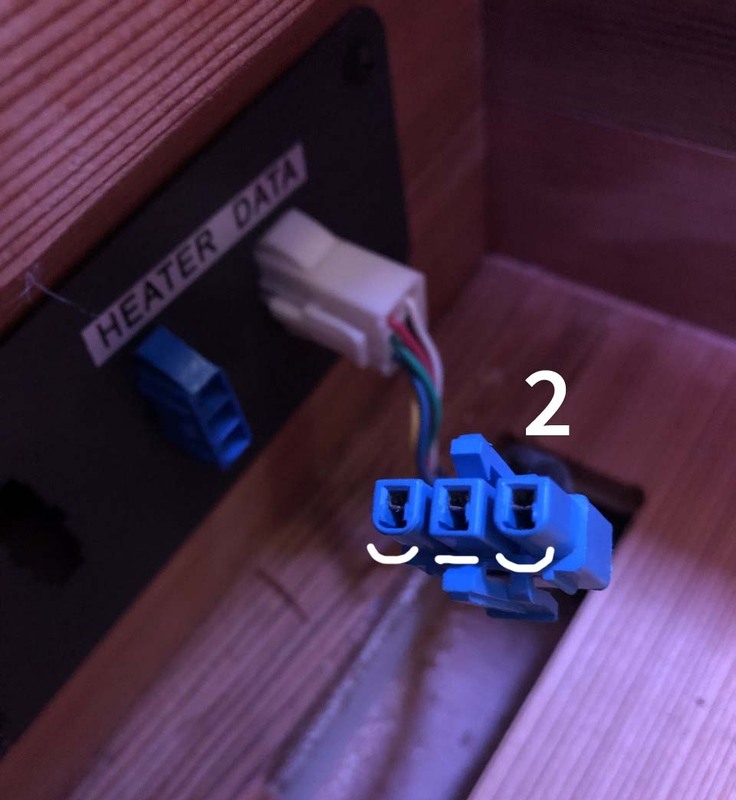 If your above wiring is correct and you still have no heat from the front heaters we need to check your front heater connection. This connection is located on the front floor, right, under a small wood cover. The heater connection will be blue. Make sure your heater connection (blue plug) is plugged in. Red/Brown colored wire should be on top. The connector can only be inserted one way. Make sure you have the connections ligned up correctly based on shapes below, red/brown colored wire is on top. If you are still experiencing troubles please feel free to fill out a support ticket so a technician can further assist you.